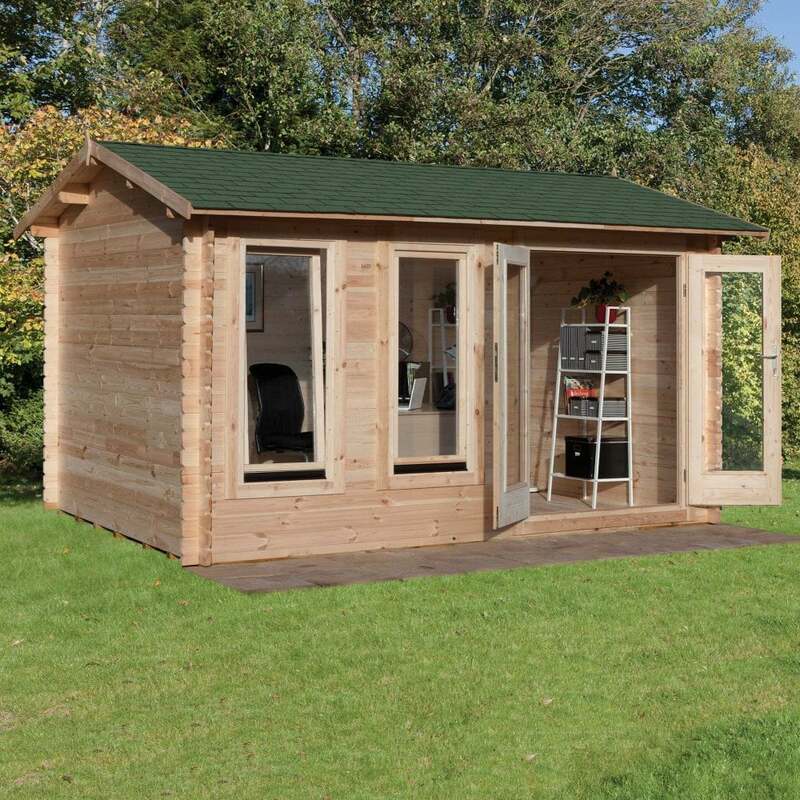 Forest Garden Chiltern Log Cabin 4.0m x 3.0m: The Chiltern Log Cabin by Forest Garden is a wonderful and versatile building, ideal as garden office, games room or gym. The 4.0m x 3.0m Log Cabin feature two large front windows with a tilt and turn opening to allow excellent ventilation during the summer. The Forest Garden building also includes double glazed doors to provide even more light into the cabin and can be secured with a mortise locking system. The Chiltern Log Cabin is manufactured from 34mm cladding machined logs, 19mm tongue and groove roof and floor boards for a strong and sturdy structure. The Forest Garden Cabin has a pitched roof to provide ample height and includes green/ grey fleck rectangular roof shingles for a stylish finish.